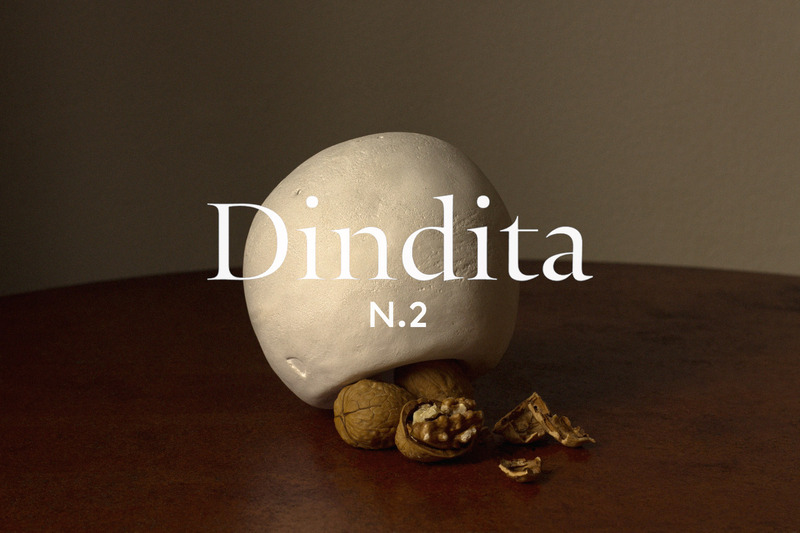 Dindita N.2 is a white concrete mortar and nutcracker. It is inspired by primitive tools used by animals and humans. 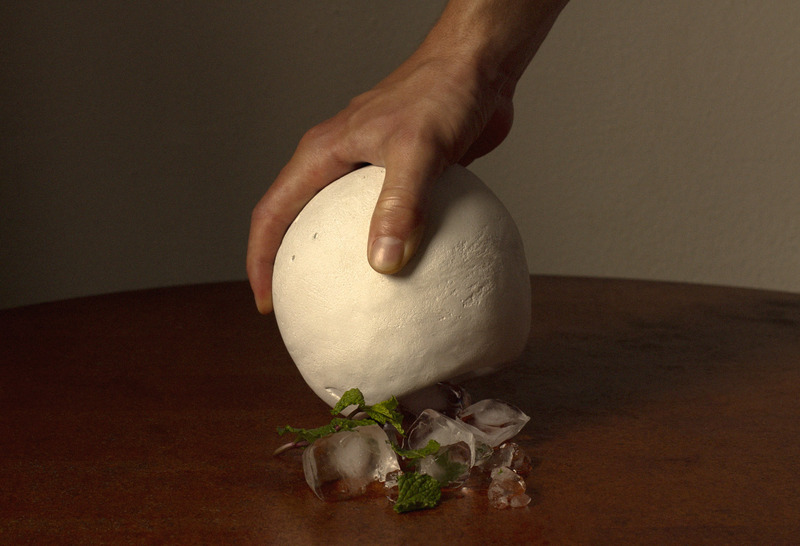 Dindita is a laboratory that conceives, designs and fabricates unexpected products periodically. 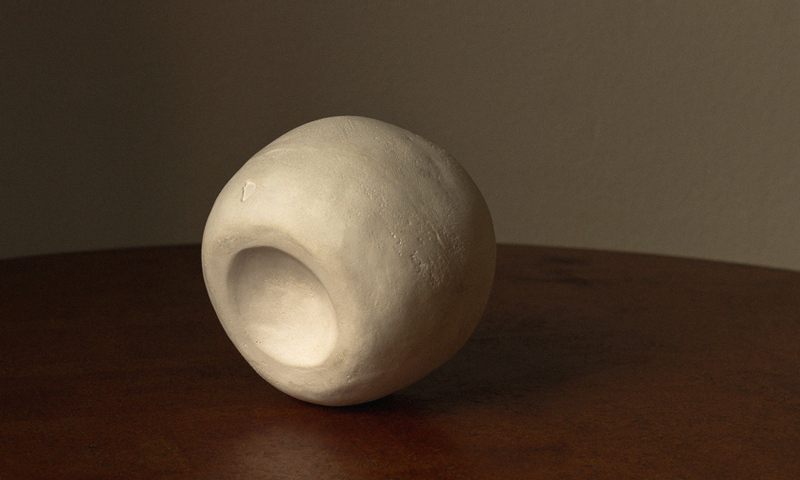 White concrete, 13cm diameter x 2kg. Read the FAQs before purchasing. Goat manure nuggets coated in real gold, functional and decorative. Edition of 60: sold out. We launch new products every few months, add your email below to get notified earlier. What's Dindita? Who's behind it? Dindita is a laboratory that conceives, designs, fabricates and distributes unexpected products periodically. It's based in Switzerland and New York, run by Loïc Bernasconi and Daniel Pianetti. Identity and website by No Plans. On limited terms yes, please write to contact@dindita.com for details. Wired, PSFK, Booooooom, Radiotelevisione Svizzera. The mortars are handmade, every piece is unique with his texture and flaws. See the making of: Dindita on Instagram. Where do you ship and how long does it take? Everywhere, shipping takes about three weeks. Are there any use recommendations? 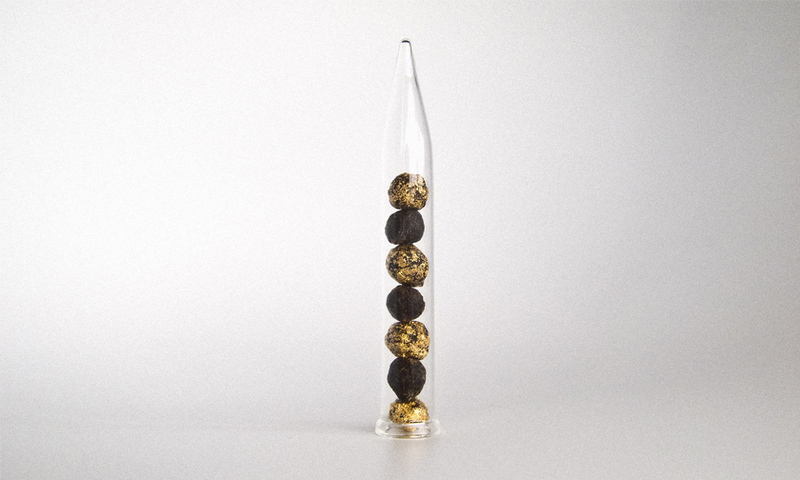 We tested it on different kind of nuts, ice, herbs, spices. The concrete is a spongy material, please avoid extended contact with liquids and acidic substances.